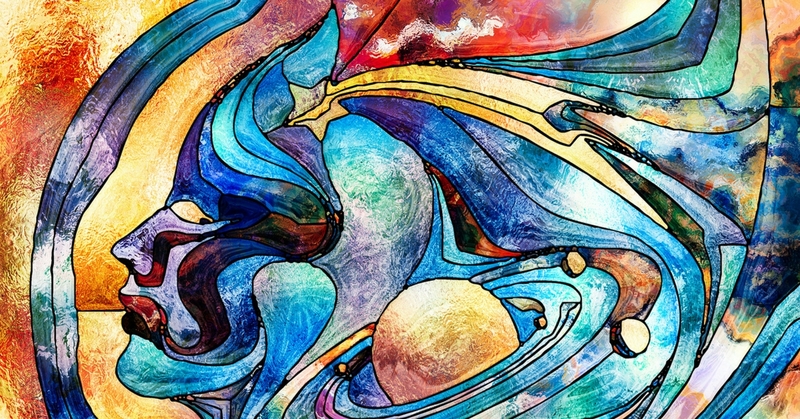 Since the beginning, humans have pondered upon the meaning of life, the purpose of life. Whether it was Socrates, Plato, Aristotle or Monty Python, people have wondered why they are here and what life is about. 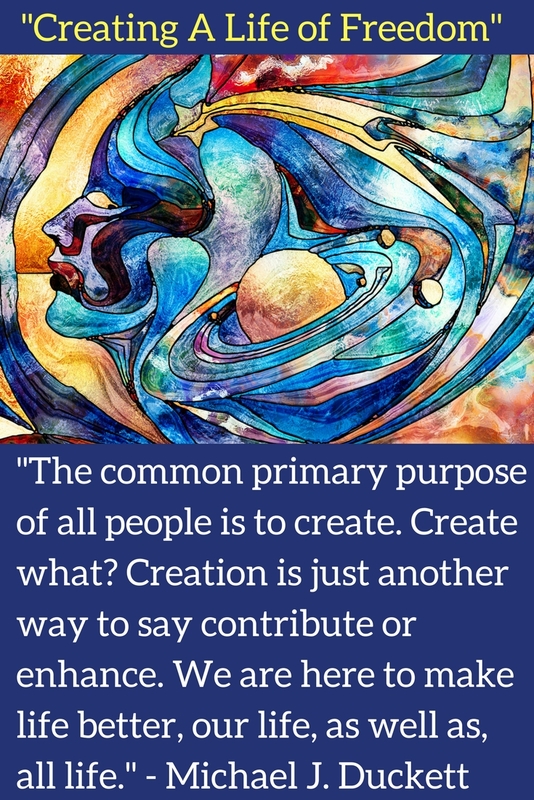 The common primary purpose of all people is to create. Create what? Creation is just another way to say contribute or enhance. We are here to make life better, our life, as well as, all life. When we are creating, we are in alignment with our primary purpose, which happens to be the exact purpose of God—Creation. When we’re doing anything against the purpose of creating, we are working against God’s intention for us. Anything working against the Source of all life, is working against the premise of freedom as well. Besides the primary purpose of life and the associated ultimate freedom, there are other expressions of freedom as well. I discuss these other freedoms in my book, Creating a Life of Freedom. In the book I outline what those freedoms are and how to create them. Inside Creating a Life of Freedom by Dr. Michael J. Duckett you’ll discover the freedom in life that God wants for all of us. Everyone has an innate desire for freedom in life. What if you lived a life with total freedom? If you want it, you can have it, but you’ll have to create it. Freedom doesn’t just happen on its own. Most people will never create freedom in their lifetime because they don’t answer two powerful questions: What is freedom to you? How can you create it? 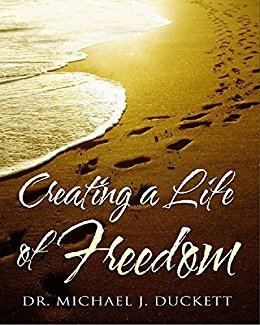 Creating a Life of Freedom brings you a complete, simplified process for creating freedom in your life. This book is the second of three in Dr. Michael J. Duckett’s new trilogy Life Series: Existing in a State of Power, Creating a Life of Freedom, and Creating a Winning Life. The information in this series is what every person has a “right” to know. What every parent would want their children to know. It is the information that will definitely set you free! Get your copy on Amazon.